Whenever I come across small interesting succulents by browsing through the local nurseries, I cannot resist buying them, even though they are not tagged. This one was just a small cutting and had a hard time surviving. 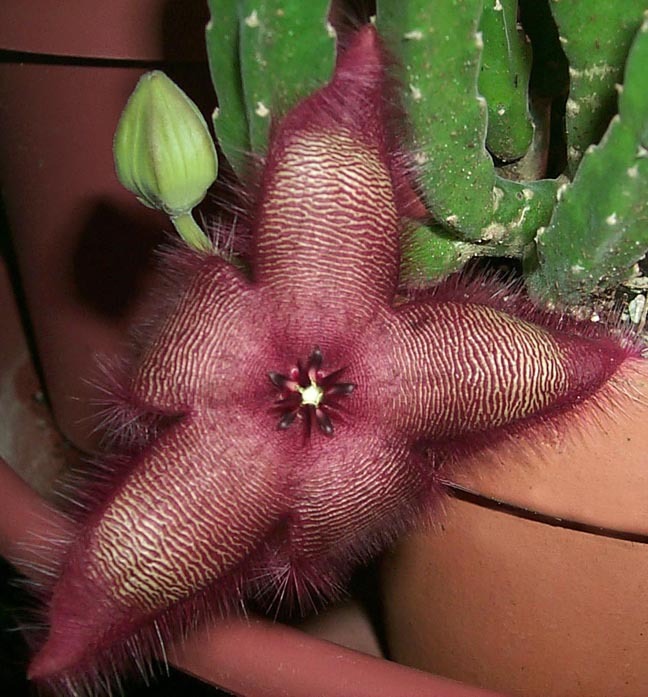 It took several years to get it to stabilize and to start flowering.This flower measures about 4 inches. It curved back immediately when it opened. At the moment, there is a major scenting competition going on in the Stapeliad growing area - between my S. hirsuta, which is a very prolific bloomer and this newcomer.